The latest range of TVs has arrived at Marks Electrical HQ over the past few weeks, with models pouring in from top brands. There have been quite a few exciting developments in the 2016 line-up, here are the ones we think you should look out for. A picture technology being touted mostly in Samsung’s and LG’s 2016 range; Quantum Dot technology is used in conjunction with typical LED displays to enhance colour reproduction by a marked amount. Quantum Dot actually refers to a number of nanocrystals that, when exposed to light, emit a wide spectrum of rich, natural colour. This is useful for a few reasons. Firstly, LED displays are notorious for having poor control over darker colours due to the LED backlight delivering a uniform brightness. Quantum Dot heavily reduces the impact of this unfortunate quirk, allowing LED displays to deliver blacks closer to plasma or OLED TVs. Secondly, colour reproduction can be enhanced up to 30%, ensuring you’re getting more from your new 2016 TV. We think Quantum Dot Display is going to be a big hit, delivering OLED-like quality without the fabrication difficulty OLED has traditionally struggled with. 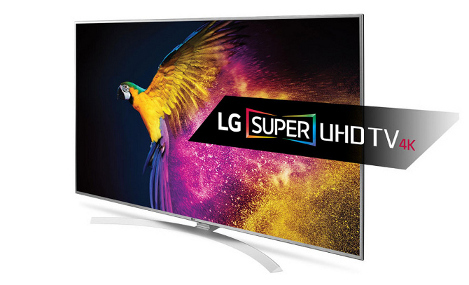 You can find Quantum Dot technology in both the Samsung SUHD and LG Super UHD televisions. This isn’t a new technology by any means; IPS (In-Plane Switching) panels have been used extensively in professional visual editing industries for their incredible colour accuracy from any viewing angle, along with stable and clear pictures. Only now has IPS been considered for home TVs, with LG implementing the technology into many of their 2016 line-up. IPS follows the same technology as popular LCD displays, which have been a mainstay in our homes for some time. What changes, however, is the orientation of the crystals in relation to the display. Crystals are aligned completely horizontally and rotate when current passes through them; the result is a uniform colour and brightness at any angle you view the screen from. IPS is a more expensive panel and, despite the huge boons in terms of picture quality, do have one drawback. IPS panels typically suffer from a longer response time when compared with other displays. While modern technology has reduced the impact of this drastically (and won’t bother you with general viewing), it’s worth keeping in mind that avid gamers might want to opt for a different type of panel to ensure the best results. Most people have heard the phrase HDR from photography, where images are given additional exposure information to create a scene with more colour than there would be normally. The result often looks like a purposefully altered picture that doesn’t necessarily capture a true-to-life image. HDR for television is a completely different beast and could very well be the biggest picture quality improvement we’ll see for a long time – potentially even more impactful than 4K! HDR is essentially a standardised level of colour output that a TV must achieve to enhance visuals; brighter whites and darker blacks that are designed to be life-like, without artificially altering colour output. This is achieved using 10-bit colour, which unlocks over 1 billion hues of colour, and whatever manufacturer-specific technology they use to achieve the required light levels (measured in nits). 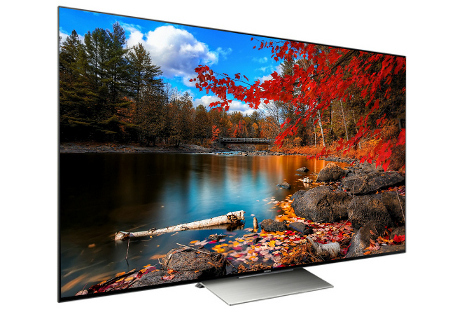 HDR content requires an HDMI 2.0a connection to support the additional image information that is transmitted from peripherals, though any TV that supports HDR should also be equipped with the necessary connections. Currently, you’ll only find HDR content either on Netflix (specific shows) or UHD Blu-ray, but with plenty more on the horizon, this is a great future-proofing technology you should seriously consider. The 'Ultra HD Premium' logo is a sure sign that the television meets the requirements to deliver HDR content, so keep an eye out for it! We’re going to be honest, OLED isn’t a new addition to 2016 televisions; it’s just that good we feel you should still consider picking one up. Championed by LG, they’re currently one of the select few to offer OLED TVs to the consumer market, largely due to the difficulty in manufacturing OLED panels in large quantities. What is so special then? Well, it’s a shift in technology that eschews the typical backlight we’ve gotten used to in LED displays and instead uses an entire array of self-emissive pixels to display images. As each individual pixel can be turned on or off, OLED screens can display black levels that other TVs simply cannot come close to matching – it’s really impressive to see the depth and contrast that an OLED can produce. An additional benefit of OLED is the supremely slim form factor that’s made possible thanks to the removal of a backlight. Some panels are even measuring by millimetres – they’re just that thin. OLED is, unfortunately, a pricier option, but if you’re looking for a premium television you can’t go wrong with this technology. The latest technology to be included in Sony’s XD93 and XD94 series of televisions, the Slim Backlight Drive is a concerted effort to solve the problem of backlit LED displays once and for all. Despite using an edge-lit LED display, the Slim Backlight Drive has been engineered to deliver full-array LED quality by guiding light to specific portions of the screen as required by the image being displayed. This is, essentially, an advanced form of local dimming that should help to create greater levels of contrast on-screen. An additional benefit of Sony’s Slim Backlight Drive is the thinner physical profile, thanks to the edge-lit design. It’s no surprise that a sleeker, more modern TV is going to catch people’s eye so we’re glad to see a more contemporary look and feel from televisions with this nifty tech. The Smart TV revolution has been an exciting one. The fact that our big screens can tap into the world of on-demand content and bring what was once confined to our laptop screens to the comfort of our living room is a spectacular thing. The Smart TV concept is designed to make the whole process easier, with many manufacturers creating their own version of the interface. LG has become well known for their user-friendly webOS interface and this year marks the update to 3.0. While it’s largely an improvement in usability and performance, there has been one or two handy additions. The impressive Magic Zoom has been added, which allows you to look closer at portions of live television – without losing quality. This is great for possibly hard-to-read text or for spotting that little extra detail in a scene you might otherwise miss. Also included is Magic Mobile Connection, which opens up your smartphone or tablet content to the big screen via a simple app. It’s a race to see who can provide the slickest navigation and biggest feature-set; LG is certainly in the front-running. 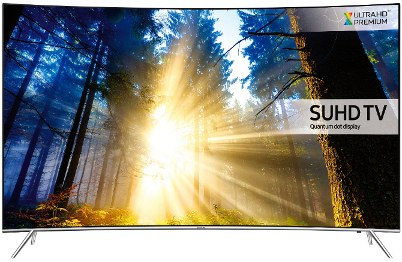 This is one of the most affordable ways to bring Quantum Dot technology into your home, with a 49" curved display to output the impressive visuals. Samsung has ensured colour reproduction meets HDR requirements, making this model a great purchase for a future-proofed home cinema. One of the few 2016 televisions to offer 3D functionality, this is a no-brainer for anyone who's a fan of the tech. Of course, the superb Slim Backlight Drive powers visuals, creating vivid and deep images that were previously unachievable with edge-lit LED backlights. This massive 60" beauty is packed with the latest technology. Both Quantum Dot and IPS technology is built-in to the display, along with HDR capability - the best picture technology in one sleek package. Of course, LG's excellent webOS 3.0 is included too, keeping the whole interface quick and intuitive.